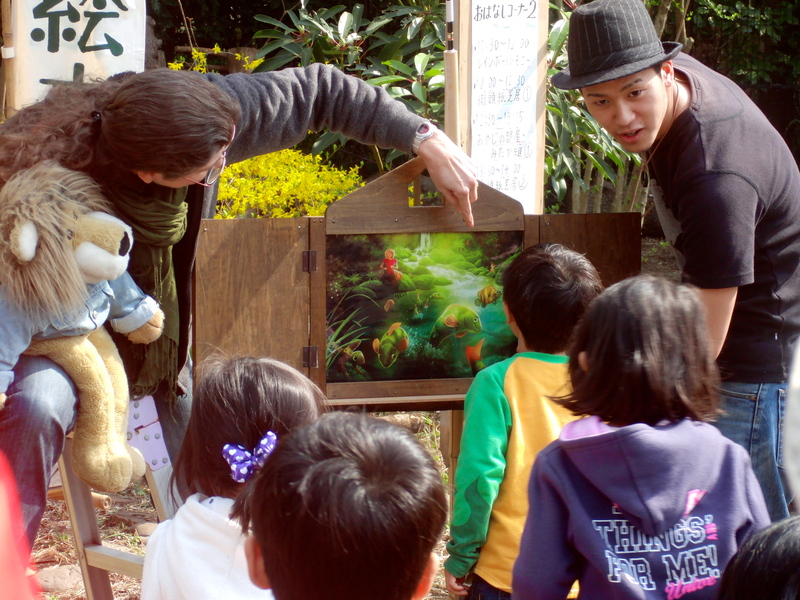 Kamishibai is a Japanese traditional form of storytelling that employs the use of large illustrated panels held in a frame that are, one by one, pulled aside by the storyteller to reveal the scenes in a story. 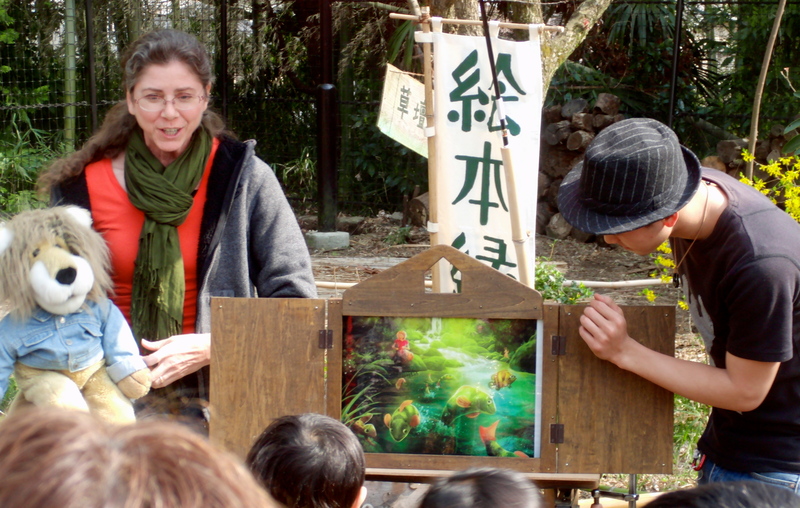 Kamishibai literally means “paper drama” and the storytellers are adept at gestures, character voices and timing as they draw their audience into their tale. 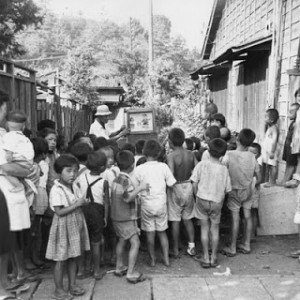 The kamishibai storytellers used to arrive at a town with their box theater mounted on the back, ready to set up shop and entertain with several stories. Children who bought candy and concessions from the storyteller would get the front row seats for story time. This form of storytelling originated in Buddhist temples as priests told stories with a message, much like the morality plays of Europe in the medieval times. In those days, the audience was often illiterate and theater was a compelling way to present stories. 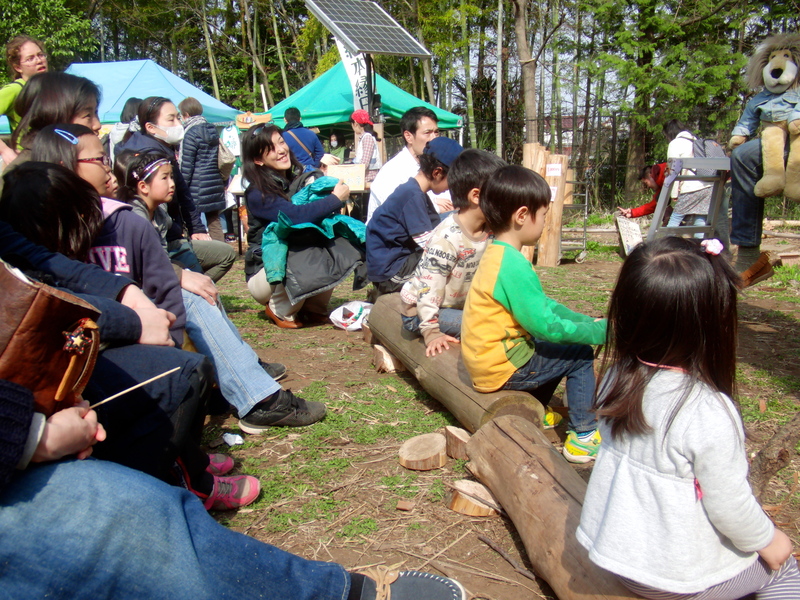 The ancient art of kamishibai became popular during the 1920s and is recently enjoying a revival in Japan as families flock to libraries and community centers where they can enjoy free storytelling and other fun activities that stimulate their children’s interest in reading. Recently, I was asked to give a kamishibai presentation at a beautiful children’s cultural center located on the grounds of Mitaka City’s Observatory or “Tenmondai.” For this event, some Japanese friends helped to print out large, full-color renderings of the illustrations, without the text, of “Princess Ramona, Beloved of Beasts.” The printouts were then laminated so that the would easily slide in and out of the kamishibai wooden frame. An amiable young man named Rin came along to help with the translation of the story. He did a fine job of interpreting the story and interacting with the children in the audience. “Truthful the Lion” was “on hand” to add comments and talk to the kids. After the story, several children were brave enough to approach the lion and talk directly to him. 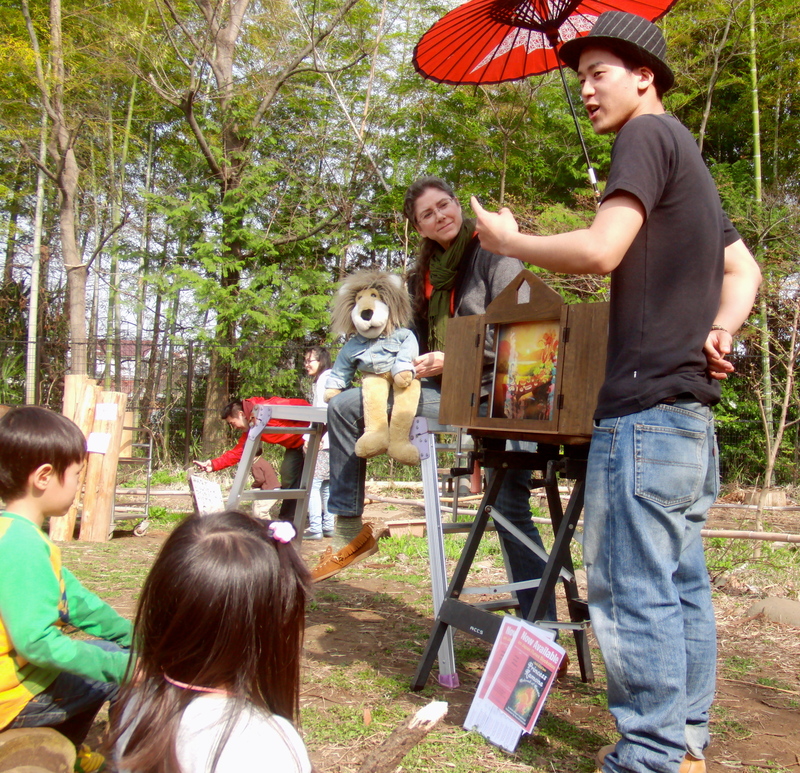 They understood that the lion’s Japanese was not fluent, but they didn’t seem to mind at all. Our kamishibai was donated to the Mitaka Tenmondai Center with the text of the book in English on the back of each panel. These will be updated with a Japanese translation so that parents can share the story once more with their children in English and in Japanese. Thanks to author and blogger, Jeanne Rogers, Princess Ramona, Beloved of Beasts now has a review on Goodreads!